By Alexis Leon and Mathews Leon, Vijay Nicole Imprints Pvt. Ltd., 2013. 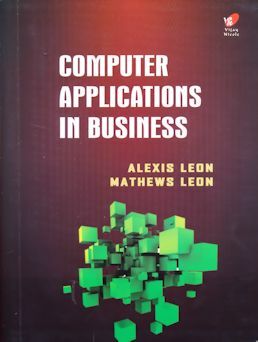 Computer Applications in Business deals with the fundamental concepts, technologies and theories as well as advanced concepts and practical applications. The book starts with an introduction to computers and telecommunications and then deals with the latest developments and technologies.